For my next All About Eggs! post I decided to do it on Hevos a la Flamenca. 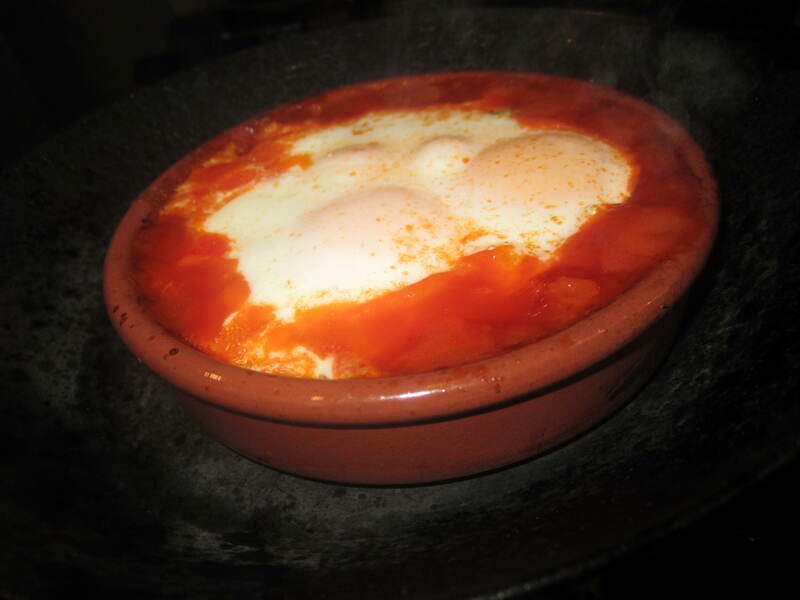 This is a very traditional Spanish dish that varies from region to region, but it usually consists of eggs that are baked in a rich tomato sauce along with cured meats, vegetables, and paprika. 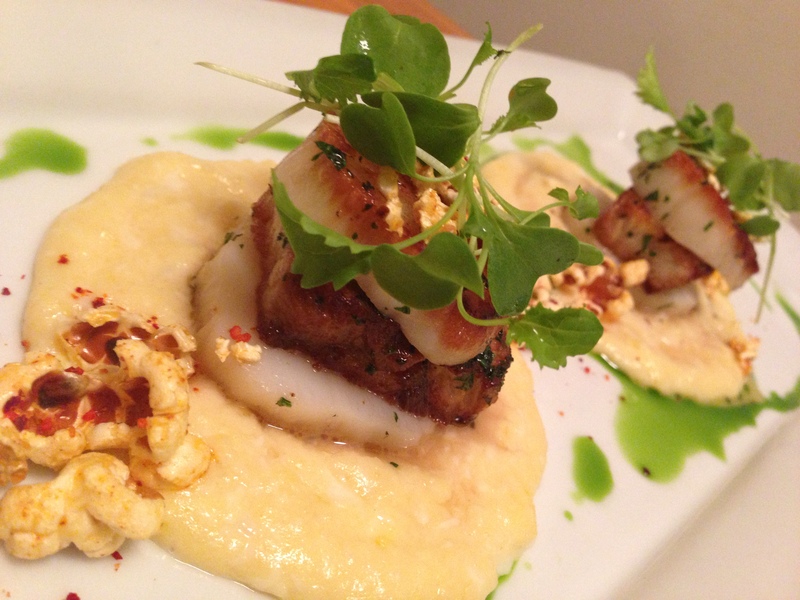 This is a dish that has been on our brunch menu at The Harvest Vine since we started over two years ago. 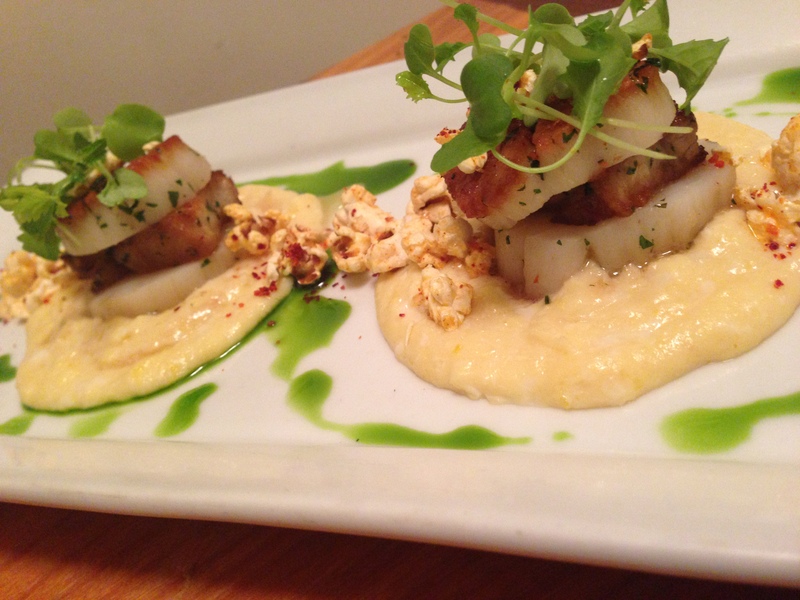 If we were to take this dish off the menu, I swear that our customers would cause riots and chaos in the Madison Valley. 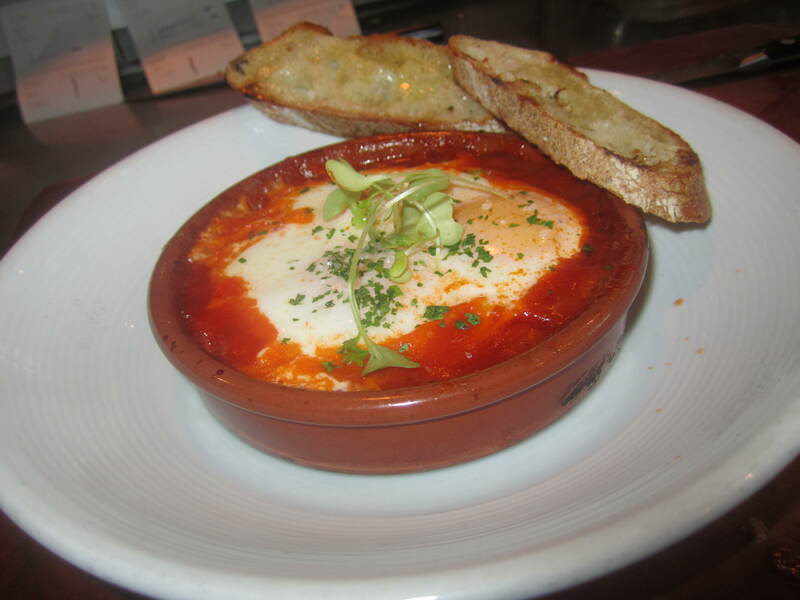 It is definitely one of the most popular dishes in our repertoire and it is the one dish I always recommend to our first time brunch customers. I feel that it is basically everything that our restaurant stands for all wrapped up and baked in a cazuela. 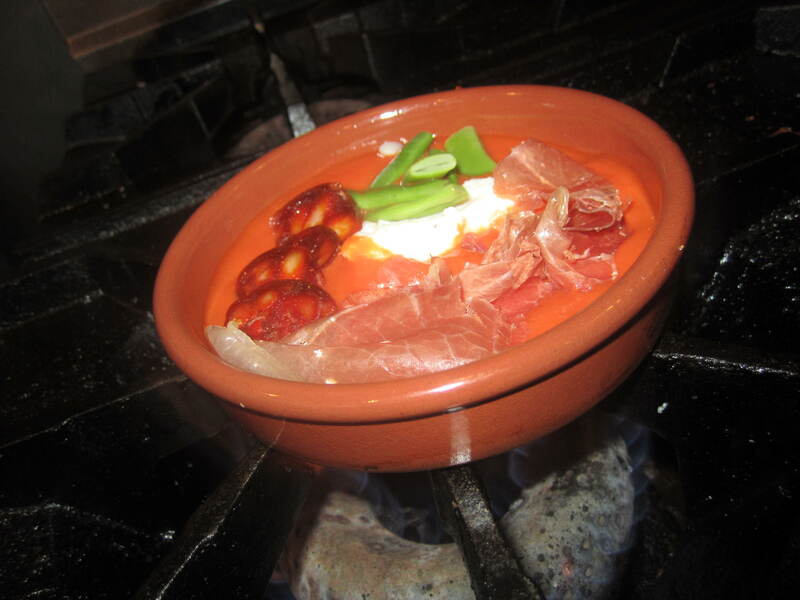 Our Huevos a la Flamenca consists of a base of tomato frito (a fried-tomato sauce), a scoop of béchamel, slices of cured chorizo, thinly sliced jamon serrano, some sort of vegetable depending on whats in season, and two farm-fresh organic eggs. It is Spain in a dish! It has the perfect balance of flavor from the smokiness of the paprika in the chorizo, the saltiness from the cured ham, the brightness from the fried tomato sauce, the added richness from the béchamel, and the fresh flavors of whatever vegetables are in season. All of this combined with a perfectly baked egg with its still-runny yolk and then being soaked up by a slice of a freshly baked baguette, its easy to see why it has all the rave for our customers. This is another prepartion of eggs I was new too. This dish is actually quite easy to put together as all you do is assemble everything and then put it in the oven, but it is very easy to mess up. Within a minute, this dish can go from being perfectly cooked to horribly overcooked. There is a very small window of time that you must take out the baked eggs when the egg whites are still a little jiggly, but with carry over cooking, the eggs will be finish cooking through as you let it sit. To assemble, put 3 oz of tomato frito sauce on the bottom of the cazuela. In the center, add a tablespoon of béchamel. In the 12 o clock position of the cazuela, add the broad beans. At the 9 o clock position add your slices of chorizo. In the rest of the open space, lay down your thinly sliced pieces of jamon serrano. I carefully position all of these ingredients because it creates a hole in the center that will help keep the egg yolks to stay in the center of the cazuela. 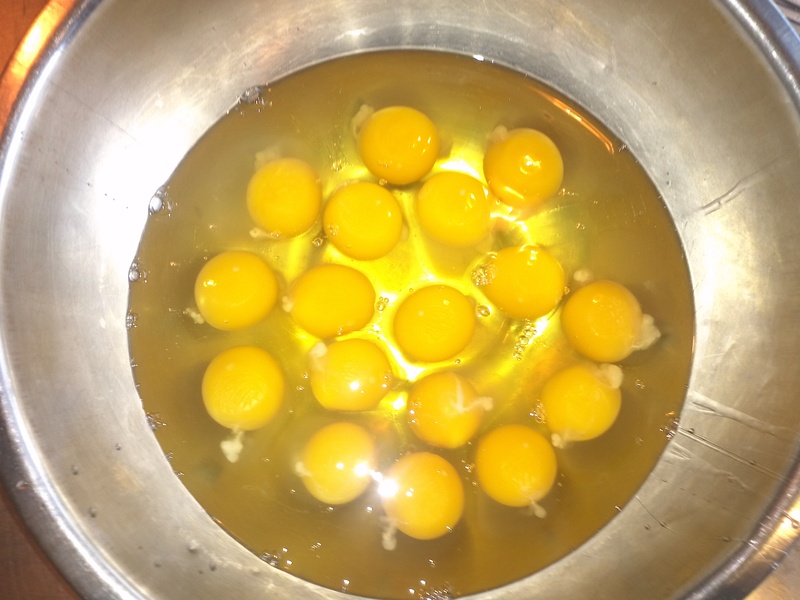 If the egg yolks are both directly in the center, it will help cook the eggs more evenly. When you have your Flamenca assembled, place on high heat until the tomato sauce starts to bubble. 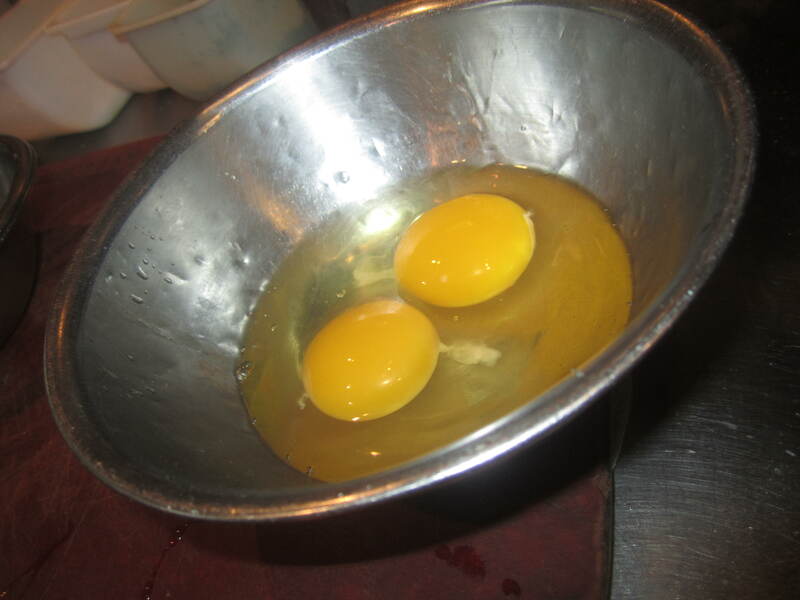 Crack two eggs into a bowl to make it easier to place eggs into the cazuela (plus it makes ensures that you don’t accidentally break the egg yolk if you were to crack the egg directly in). 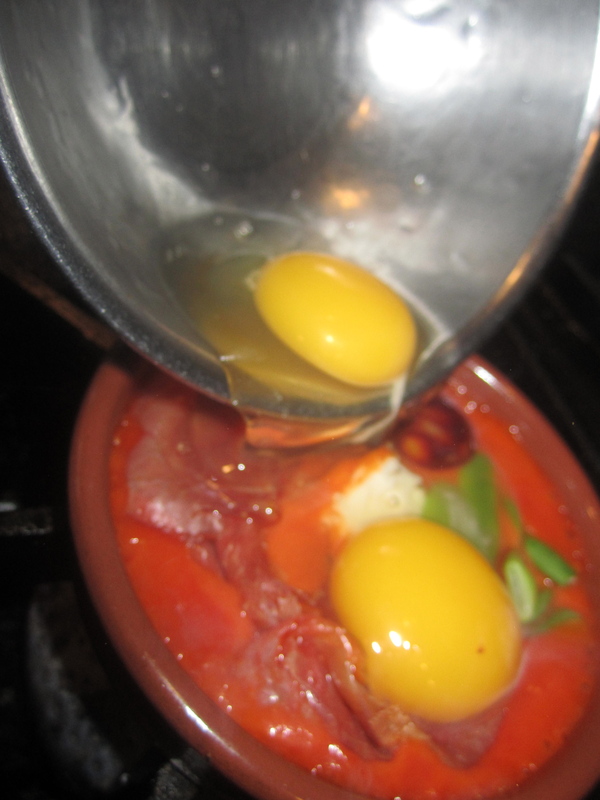 Using a spoon, create a little hole in the center of all the ingredients and then slide your eggs into the cazuela. Place into a pan and then place in a hot oven and bake for about 10-15 minutes until the egg whites are pretty much cooked through but still jiggly. It may look a little undercooked as you pull it out, but all the residual heat from the tomato sauce will carry over cook the eggs to perfection. Sprinkle with salt and chopped parsley then serve with couple slices of bread and then enjoy! 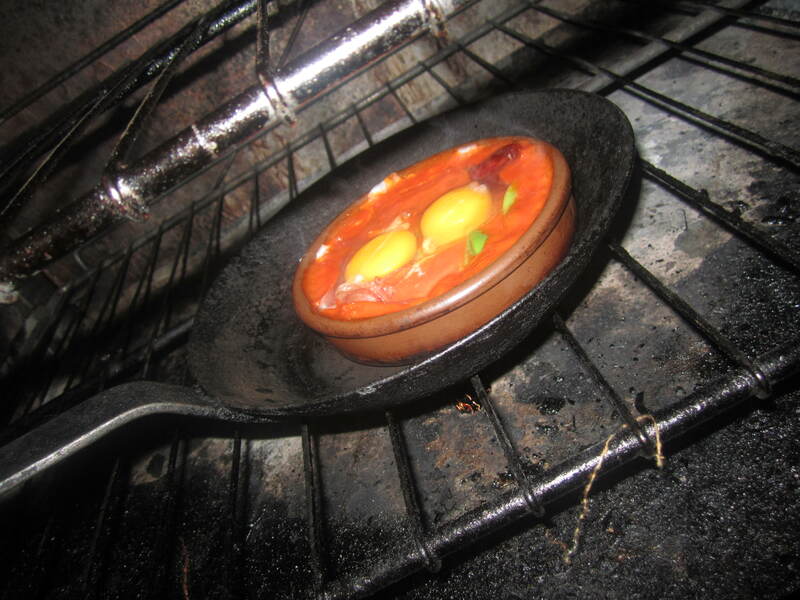 There are two type of people who eat Huevos a la Flamenca in a certain way. Those who like to break the yolk and mix everything together and then those who like to individually fish out every ingredient. I prefer to pick out all of my ingredients because it’s like a eating a new dish with every bite! We are in the midst of Seattle Restaurant Week and one of our dishes for our first course options is Mussel Escabeche with a garbanzo purée. 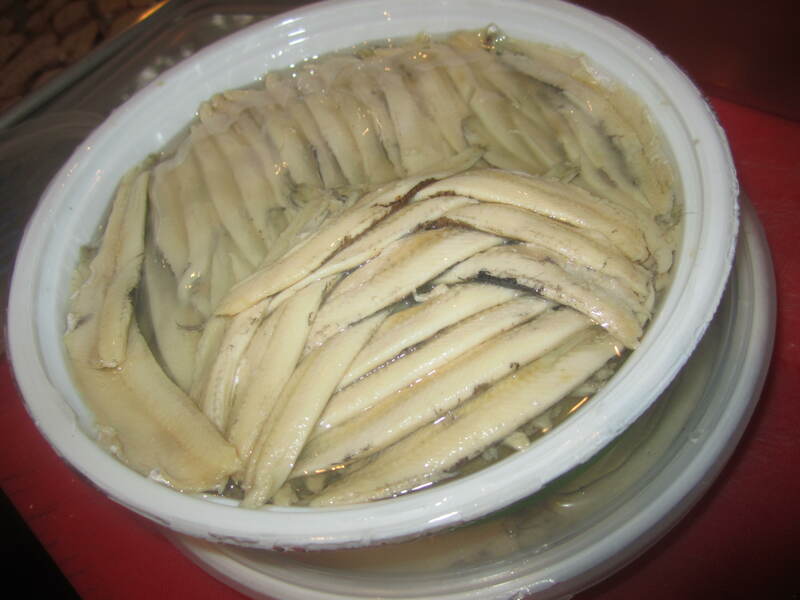 Escabeches are foods that have been cooked through steaming or frying and then marinated and stored in a mild pickling brine. This technique had been used for centuries as a way of preserving foods before the days of refrigeration. 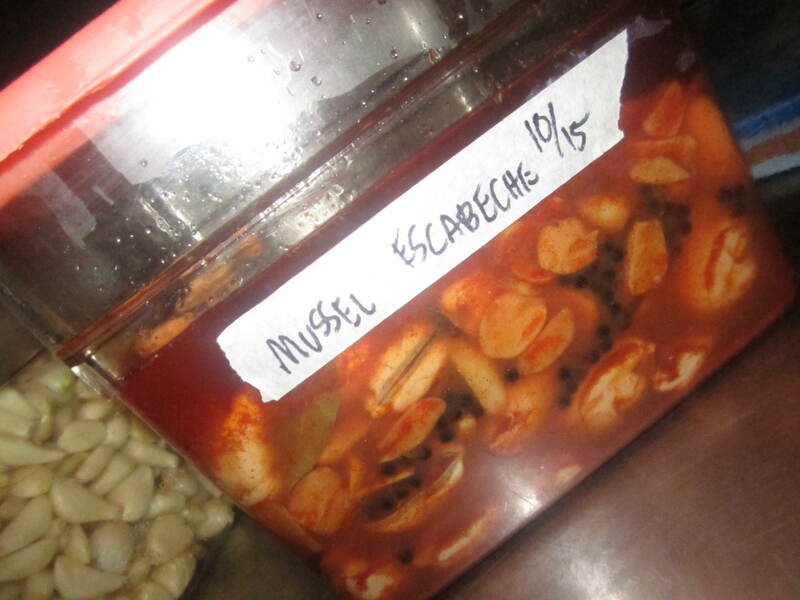 Escabeches work well with a variety of ingredients from poultry to seafood. I have always been pretty fond of this preparation of mussels because it is a nice change up from the common bowl of steamed mussels you often find on menus. Usually served cold or at room temperature, these mussels take on a smoky flavor from the Spanish pimentón that compliment the mouth-puckering sensation from the vinegar. The liquid is so good that you can use it as a vinaigrette on some greens to brighten the dish. The garbanzo purée makes for the perfect foil to the escabeche as it adds some creaminess and subtle flavors to balance out the composed dish. 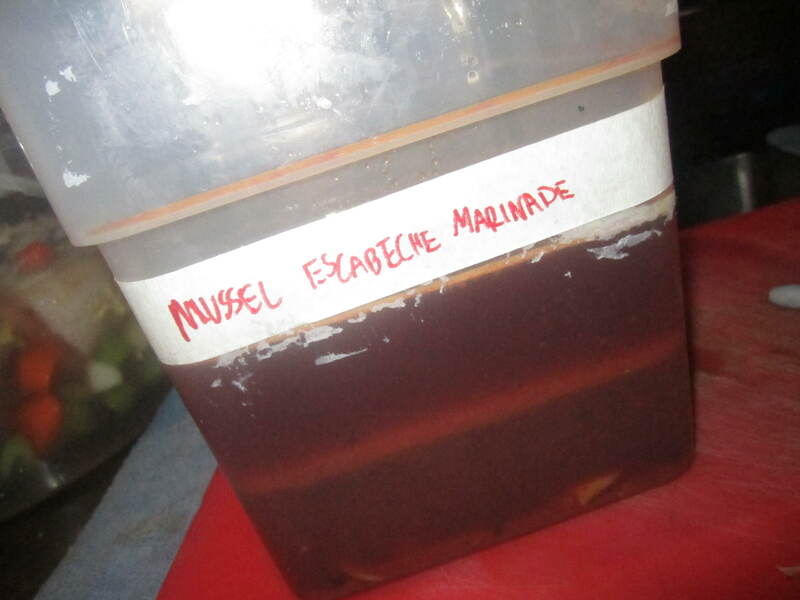 To make mussel escabeche, clean and debeard a couple pounds of mussels. 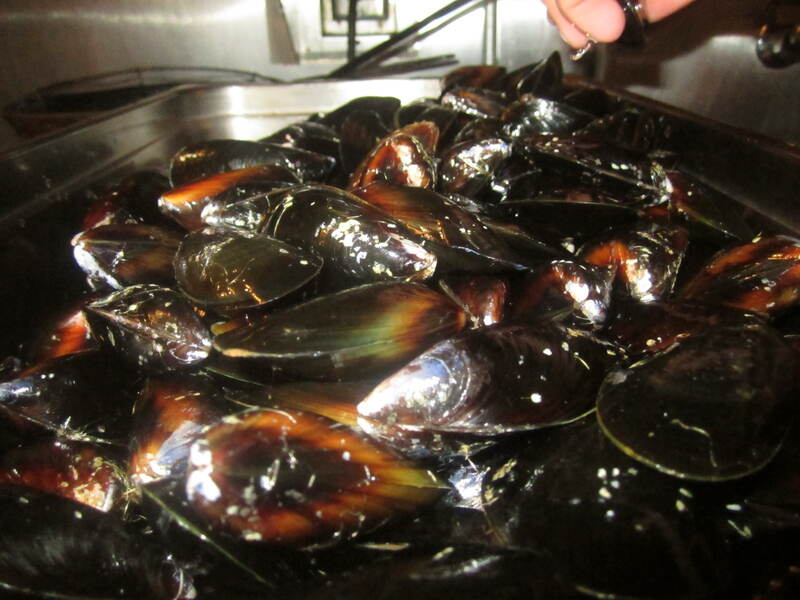 Steam the mussels with some white wine and water and remove from pan right when the mussels start to open up. Discard any unopened mussels. Let mussels cool. 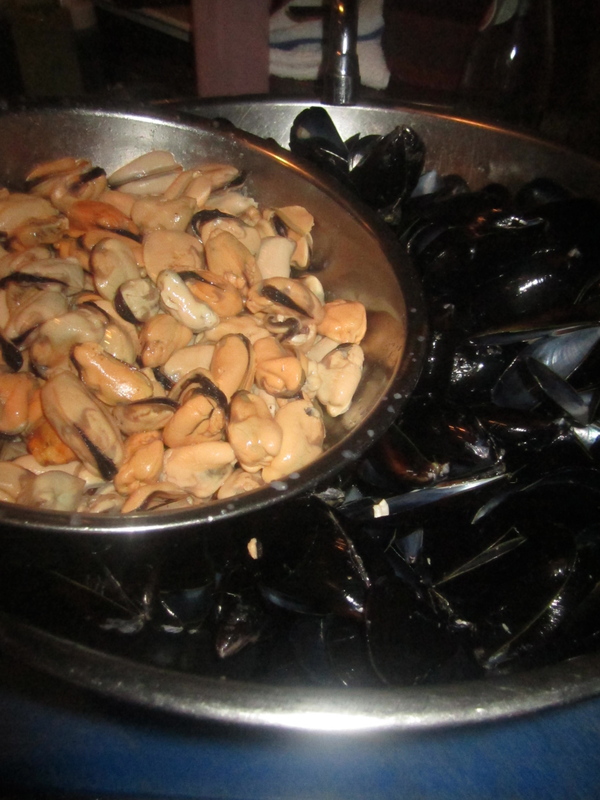 Then remove mussels from their shell and discard shells. In a pot, heat up olive oil with smashes garlic cloves over medium heat. When the oil starts to simmer and the garlic starts to brown, add aromatics (black peppercorns and bay leaves) and let flavors infuse for about 5 minutes. 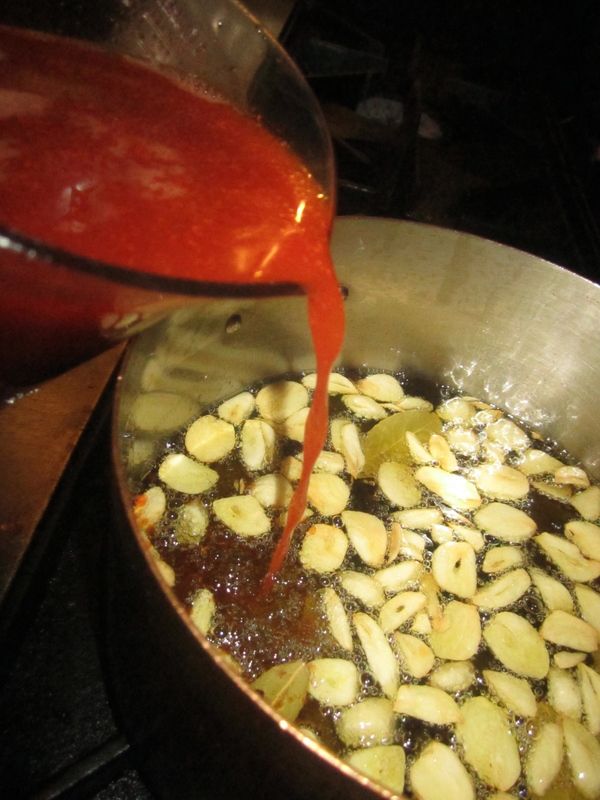 Drop the heat to low and then add pimentón and your vinegar very slowly (Equal parts vinegar to olive oil). 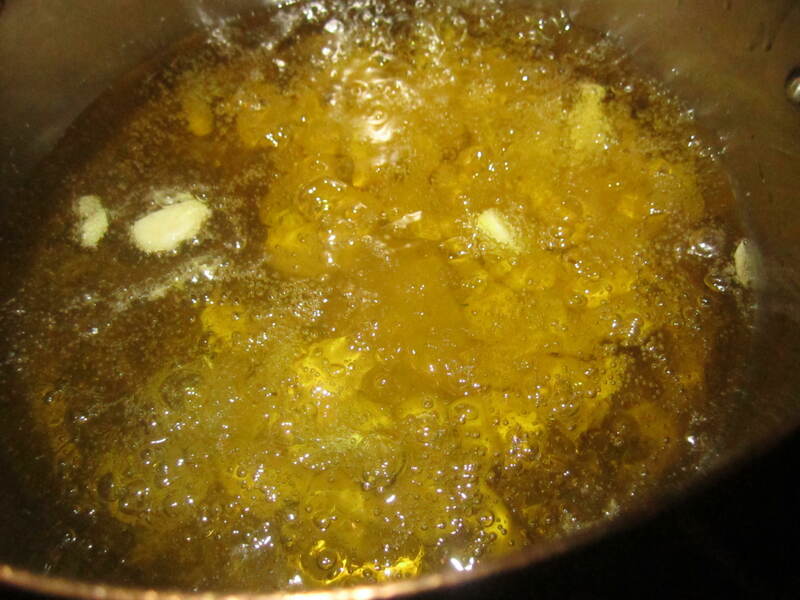 It is important to let oil cool a little bit because the vinegar will cause the oil to spatter. 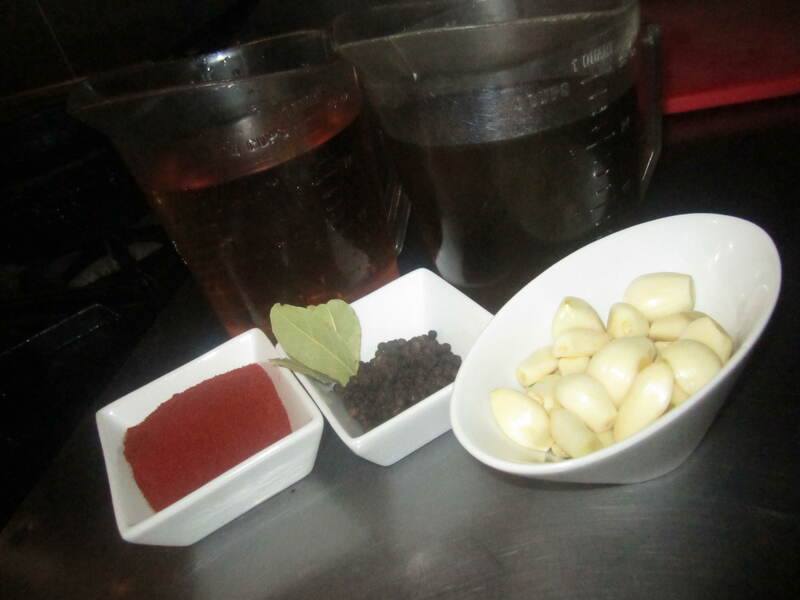 When all of the vinegar is added , let marinade cook for another 5 minute then take off heat. Add the steamed mussels and let marinade cool. 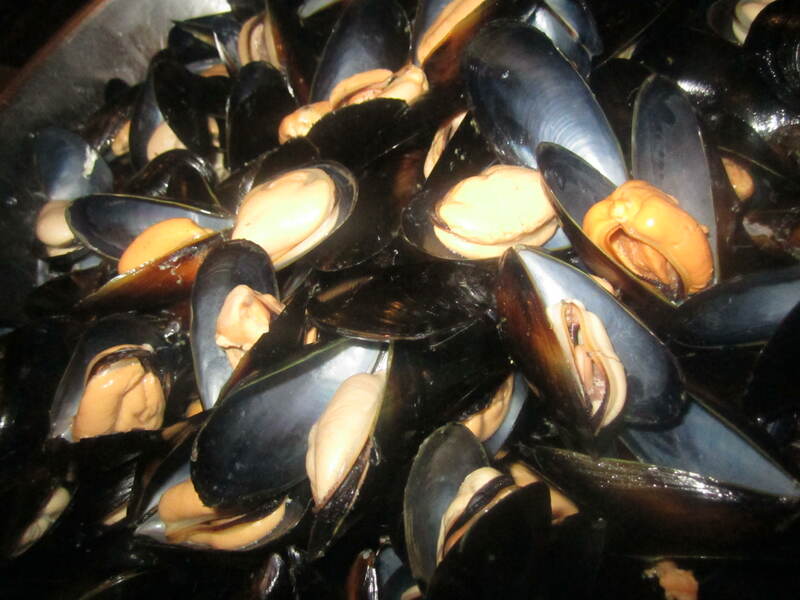 The mussels and marinade can then be served cold or be brought up to room temperature. Serve on a toothpick as a small pintxo or use in a salad and enjoy!! Anchovies, Sardines, and Canned Tuna, Oh My! 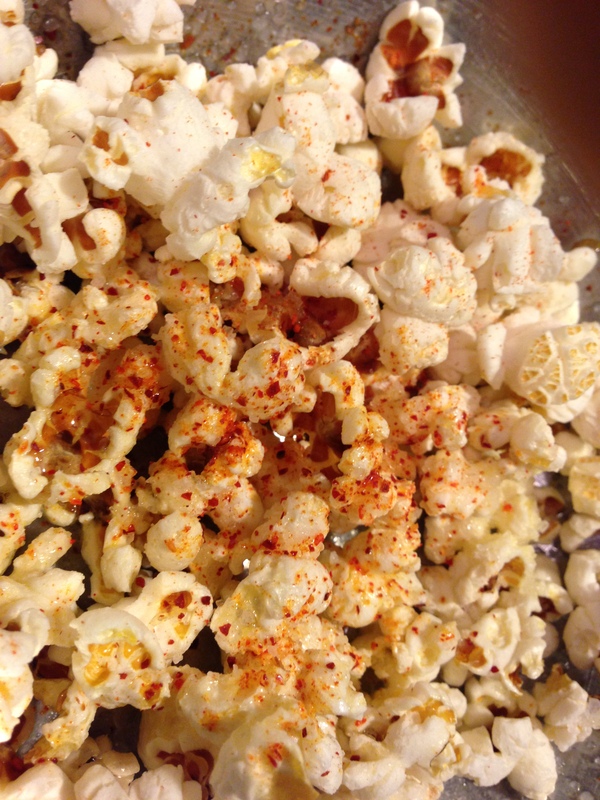 There are many foods out there that are notorious for being the arch nemesis to any kid. There are the usual suspects being broccoli, brussels sprouts, peas and spinach; basically anything green.But for me, there were three things that I just could not stand as a young child. Those three things were anchovies, sardines, and canned tuna. These foods were the bane of my existence. With sardines and tuna, i had my parents to blame. My mom has always been the best cook I know and always made the tastiest dinners. But occasionally, I would know when to skip out on dinner by the smell that would fill up my house whenever she prepared canned sardines and tuna casserole. YUCK. Sorry Mom, hate to put you on blast on the internet, but your sardines and tuna you made for dinner was terrible. I still love you though! As I grew into the stunning young adult that I am now today, (yeah, right… who am I kidding? =] ) my taste bud has changed as well as my outlook on food. I became more open to new and unfamiliar things. But for some reason, trying to let anchovies, sardines, and canned tuna back in my life was a pretty difficult thing for me! This all changed when I started at the Harvest Vine. The moment that I saw the anchovies that we were serving at our restaurant, I knew that they were something special. My mouth actually started watering to the look and smell of these spanish anchovies called boquerones. As i used them more and more, I had a new found love and appreciation for these anchovies. Every time I would open a package I can just imagine little old Spanish ladies carefully filleting each anchovie and then vinegar-curing them to perfection, then meticulously weaved together to make anchovies look like a piece of art. 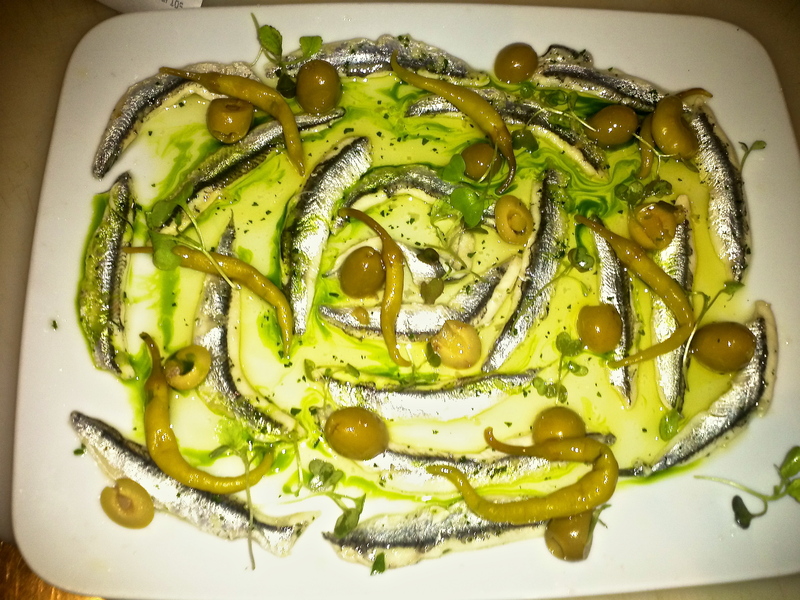 Plato de Boquerones: A platter of anchovies, anchovy-stuffed olives, pipparas, and olive oil. A very traditional combination. I remember my first experience eating a fresh sardine. It was just simply grilled to perfection and served with Alioli (garlic mayonnaise) and lemon wedges. I’ve never had anything like it. It wasn’t reminicent of the terrible canned sardines with tomato my mother use to try to feed me. It was a fresh, meaty, super flavorful sardine that makes me want to go back in time and slap my past self in the face because it was that damn good. 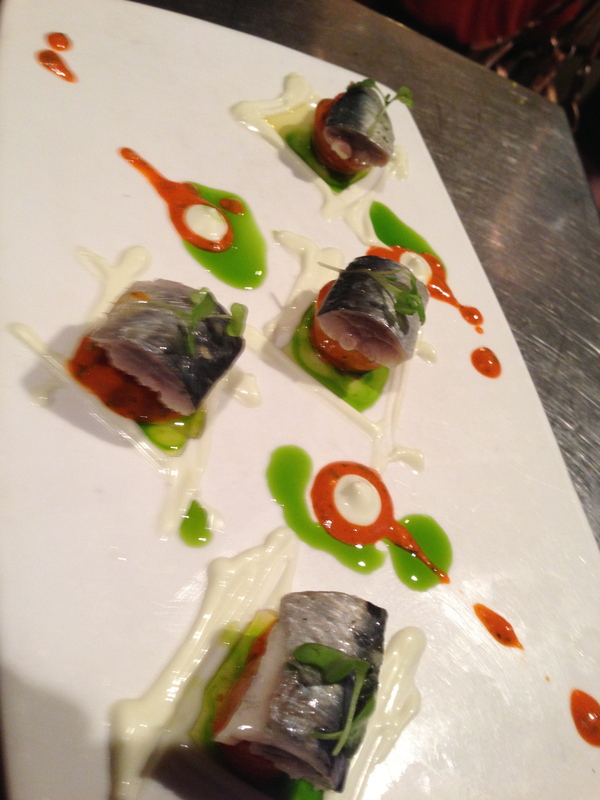 We also house-cure our own sardines in the same way that the boquerones are cured in vinegar. House-cured Sardines with Cherry Tomatoes in a Piquillo-Mint Vinaigrette. There isn’t any canned tuna like Ortiz Bonito del Norte Tuna from Spain. This is the tuna we use at work for Ensalada Rusa (Russian Salad), which is essentially a Tuna salad with alioli, potatoes, carrots, and hard boiled egg. 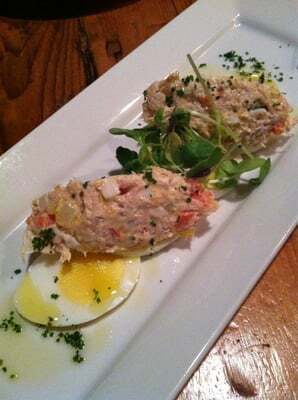 I’ve had many, many tuna salads made with the “chicken of the sea” in my day and they don’t live up to the standards of the almighty Ensalada Rusa. This tuna comes packed in a can covered with olive oil and it has such a mild flavor with an amazing buttery texture yet is very firm and dense. It’s so amazing! Well this seems a little familiar….. Here is my (second and hopefully last ;] ) Basque Stage Candidate Video! I am no means, a film maker or video editor or screen writer or actor, so please bare with me people. I know the tacky transitions between clips is pretty unbearable, but hey…. I tried my best to make it a little bit more enjoyable for you guys! I always find it pretty hard to talk about myself, letalone, record myself, so this is me trying my hardest to get my point out. Point being…… I have never wanted or worked so hard for something in my life. Getting to stage in Spain under some of the greatest chefs would be a dream come true for me. 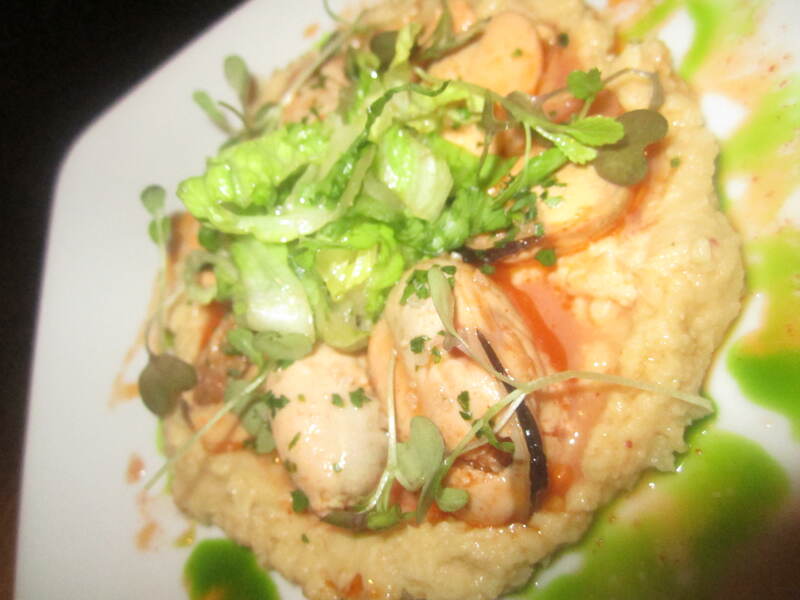 Spanish food is something real dear to me and it has become a huge part of who I am as a chef. I have so much more to learn and all I want in the end is to open peoples’ eyes (and mouths!) 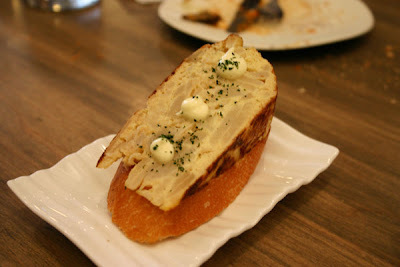 to the greatness of Basque Cuisine! Thanks for your time and wish me luck! P.P.S. Peep the ‘NorthWest‘ Shirt I’m wearing at 0:18 secs. I love my city! Have to show the 206 some love. P.P.P.S. Special Shoutouts to Irbille Donia for being a great camera man! And Minus the Bear (more 206 love) for making such a dope song that I needed to use it in my video. Egg cookery has always been something that interested me. One of the many lessons I have learned in my early culinary school days is that cooking eggs will be one of the toughest jobs someone will have in a kitchen….. Really?!? How could something as simple as cooking an egg be that difficult? Well….. Since I’ve started working brunch, I now understand what they say about eggs. So this portion of my blog is dedicated too all things eggs! Something that is so easy to make, yet so hard to get right that it could be seen as an art form. Working brunch at the Harvest Vine has taught me many new preparations of eggs and more importantly, how to properly cook eggs. My first All About Eggs! 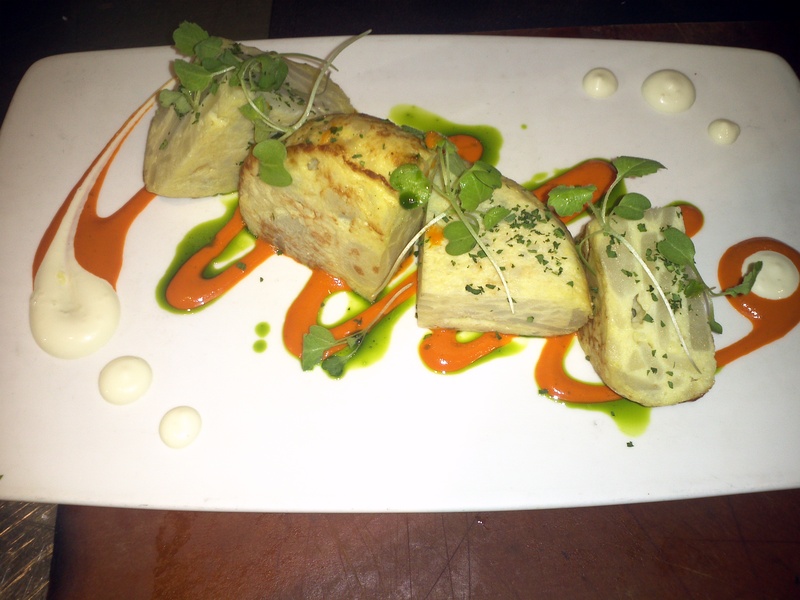 post is on one of the most traditional dishes of Spain, the Tortilla Española. I have chosen the Tortilla because it holds a large amount of importance to how I work in the kitchen. I have made it a goal of mine to perfect the art of cooking the omelet ever since I’ve had my first taste of one at Txori. It was perfect. A small wedge cut out of the disc shaped omelet served on toasted bread rubbed with garlic oil and then dabbed with 3 perfectly round dots of alioli. It doesn’t get any simpler than that, but simple has never tasted so delicious. It took me about 2 years in the making and over hundreds of tortilla but I have finally figured out the ways of the Tortilla Española. There are so many variables that can make or break your tortilla from the batter you make with your potatoes and eggs to the heat control under your pan. 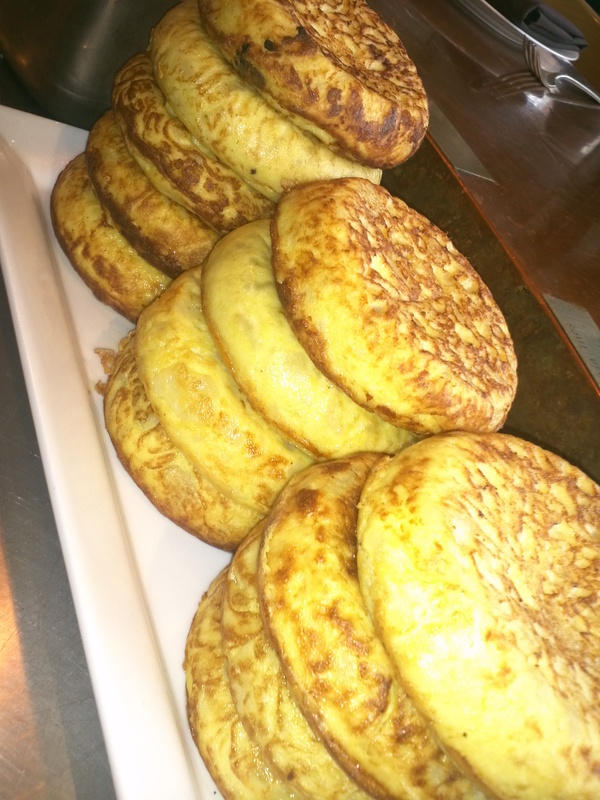 Tortilla Española is essentially a potato and onion omelet but the fillings of ingredients can be countless from diced chorizo or ham to various vegetables like peas, artichokes, or roasted peppers. Basically, you can make a tortilla with any ingredient you want. Get creative and have some fun (check out one of my favorite renditions by Ferran Adrià, the egg and potato chip tortilla)! 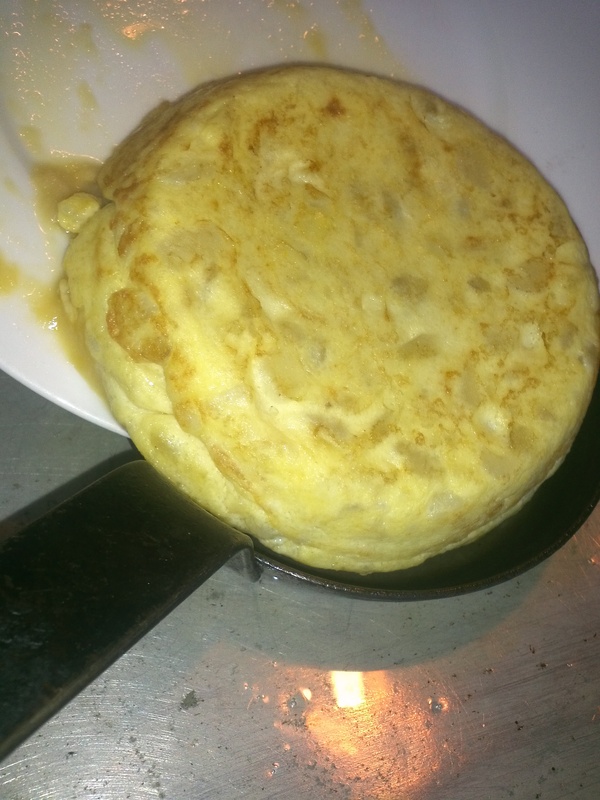 To make Tortilla Española, it is preferred to use a potato that is not as starchy. At my work, we use regular russet potatoes and find that it works perfectly fine. 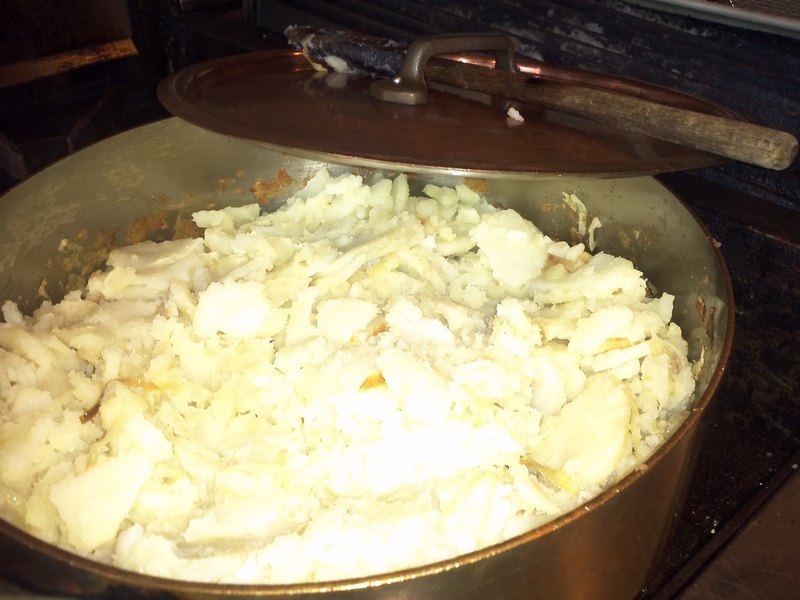 Traditionally, Tortillas start with thinly sliced potatoes and onions being cooked down in a pan with oil to cover until the potatoes are tender. At our work, we use reheated panadera potatoes that we add to our eggs so it cuts the time in the kitchen. 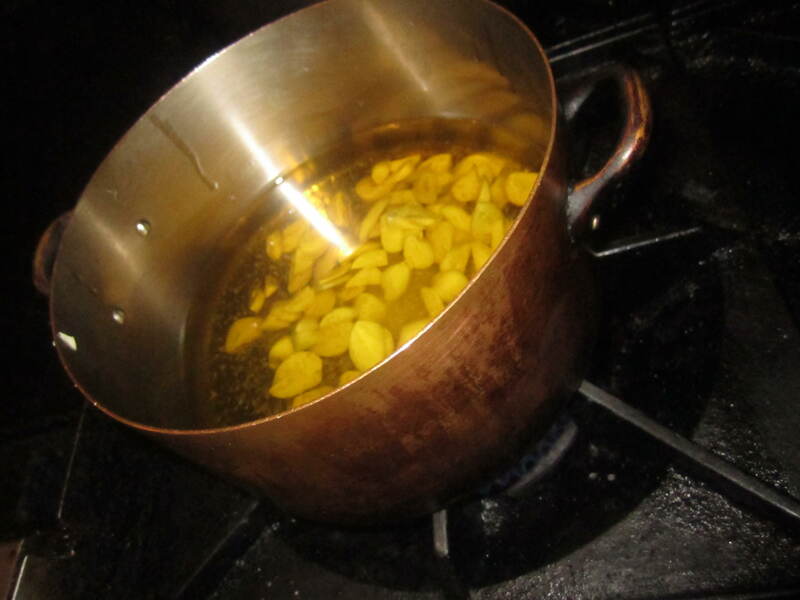 We start with 2 quarts of panadera potatoes and slowly reheat them until they are hot to the touch. We then add them to 14 scrambled eggs whisked with a good amount of salt; this makes about 2 full sized Tortillas or around 9 mini Tortillas. The next part is one of the most critical parts of the Tortilla making process, which is to let the batter sit for 30 minutes to an hour. 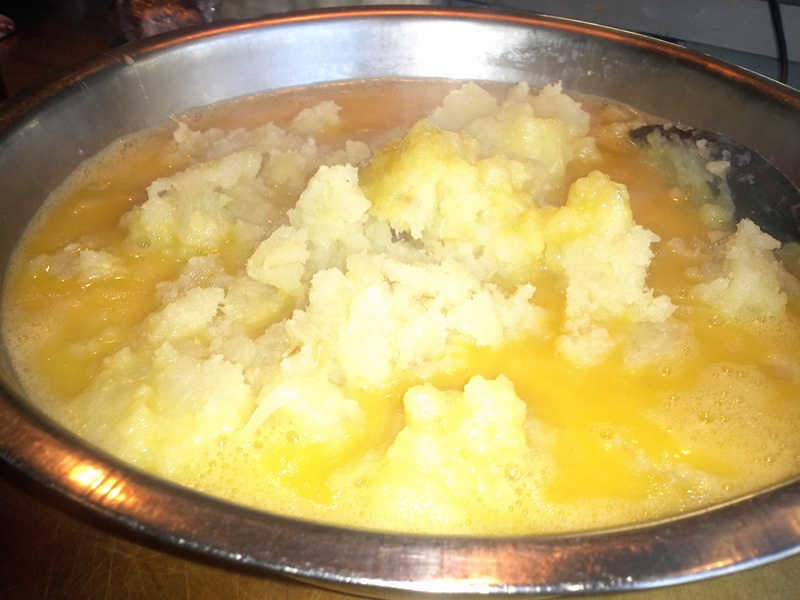 This lets the heated potatoes gently heat up the eggs (but not cook the eggs) to make a very thick batter. I find that the thicker the batter, the faster that center of the tortilla cooks all the way through. If the batter is too thin and water, then it’ll take you longer to cook the tortilla all the way through and also, I find that it makes it easier to brown the outsides of the tortilla. Which is what we don’t want! Next comes the frying. The key to the frying is to make sure you have the right pan. I prefer deep, heavy skillets that keep an even heat throughout the pan. Now for the oil, you got to make sure that you use enough oil so that the Tortilla doesn’t stick to the bottom of the pan and also, you need to make sure that the oil is heated up pretty hot. I usually heat it up until right it starts smoking before I add the potato and egg mixture so it instantly sets the bottom of the omelet. 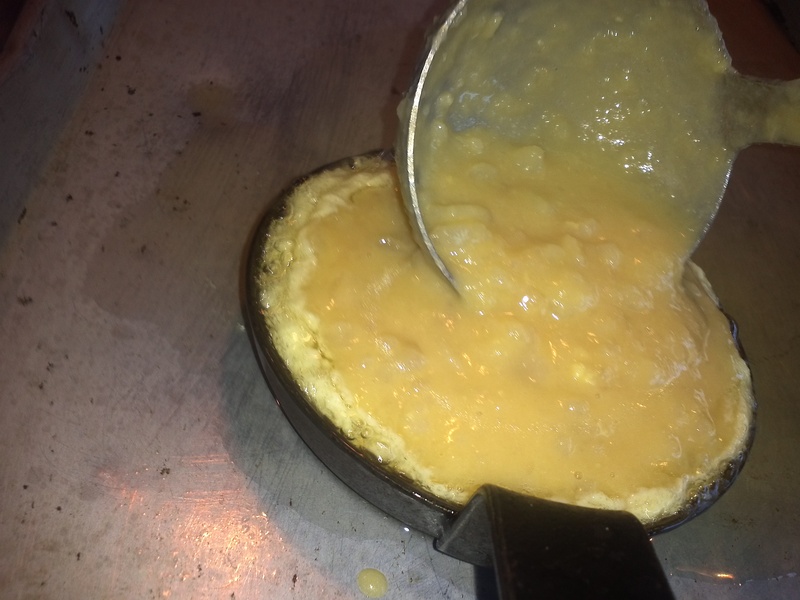 After adding the eggs, I return the pan to the stove and set the heat on medium low and carefully watch the omelet by running a spatula around the outside of the rim and scraping the bottom of the pan, making sure it doesn’t stick. When the outer edge of the omelet is thick and the center of the uncooked side looks like its no longer liquid its ready to be flipped! Known as “la vuelta”, which means the flip, is probably the hardest part of the Tortilla making process. 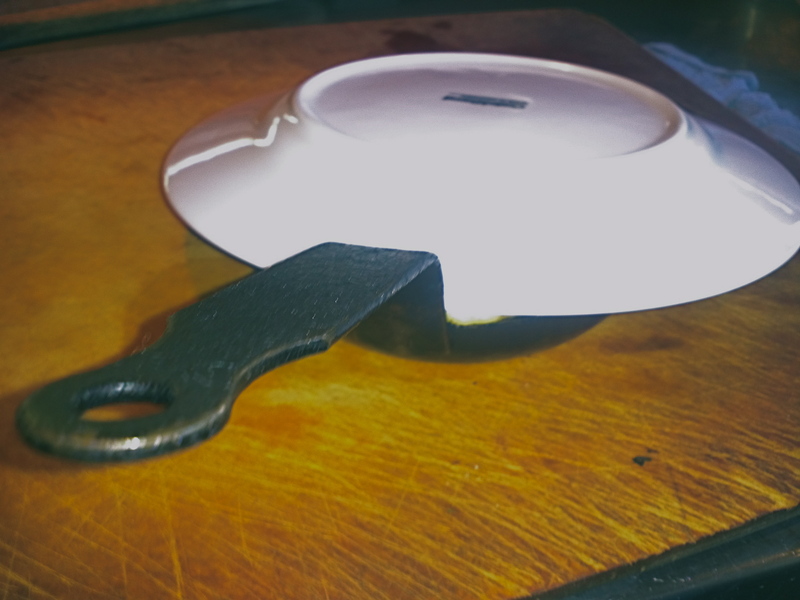 First, run a spatula around the rim again to make sure there is no sticking, then place a flat plate over the pan holding it firmly with your free hand thats not holding the pan handle. Then using both hands, carefully flip over the pan and carefully lift it from the plate, releasing the omelet from the pan. The cooked side of the tortilla should be a golden color with very little browning. 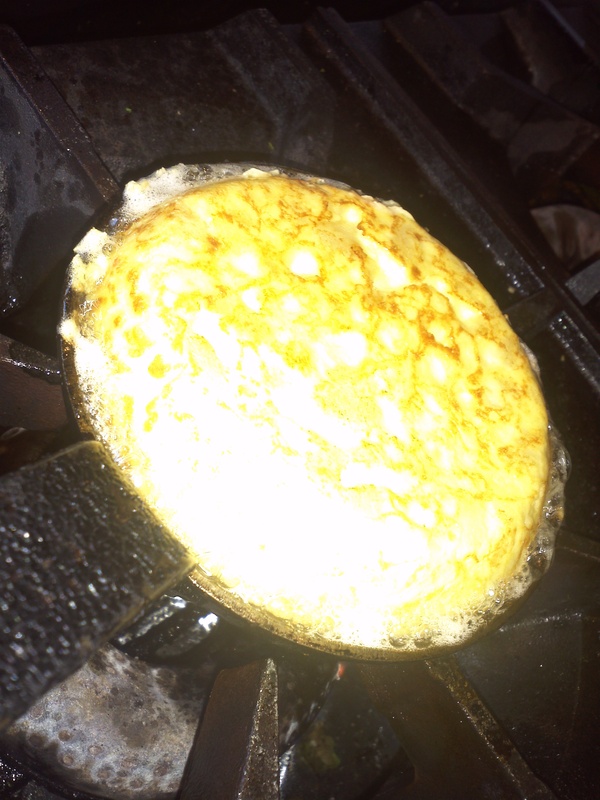 Next, reheat the pan with oil until barely smoking and then carefully push the omelet back into the pan, making sure to tuck in all around the tortilla to form the disc shape. From here on out, it is all about making sure that you watch the heat under the pan isn’t too hot that it browns the omelet. After every 4-5 minutes, I flip the tortilla until the center of the tortilla feels cooked all the way through. A toothpick can be inserted and should come out dry too show you whether or not the tortilla is done. 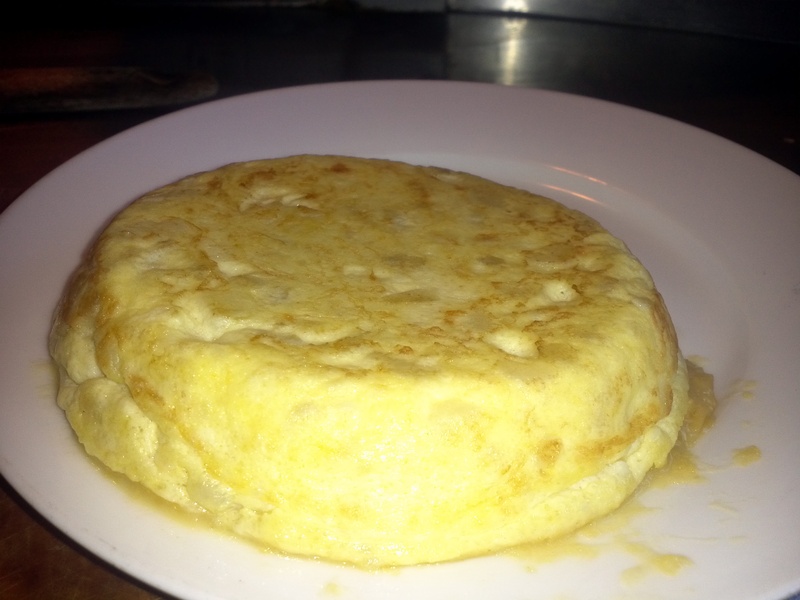 Even after making a couple hundred of these, I find myself finding new ways to perfect my Tortilla Española. It is always a great feeling when you flip out your Tortilla for the last time and let it sit before you cut into them and indulge in the light and fluffy texture of Tortilla! 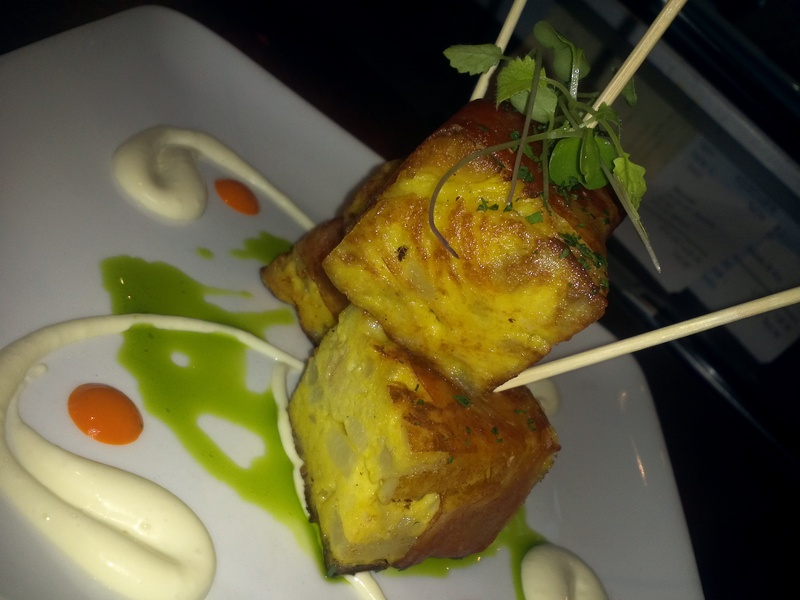 Tortilla Española Wrapped in Jamon Serrano then seared until crispy! For Filipinos who now live outside the Philippines, the desire to eat Filipino food becomes greater. These are the Filipinos who are the most nostalgic for the foods of home. However, wherever they are they have new foods to savor and new ingredients to experiment with and to add to their Philippine repertoire. It will be exciting to see how adobo, sinigang, and kinilaw can be transformed in the United States, where all types of cuisines are flourishing and new fusions of ideas are happening every day. Filipino food is honest food. The type of food that you that no matter how good nor bad, it has a way of transporting you back to the islands where these dishes were conceptualized. Growing up, I have known Filipino food as one-pot meals that my mother would throw together and serve to the family with the common accompaniments; the freshly cooked jasmine rice, the small bowl of chopped tomatoes mixed with salted duck eggs and patis (fish sauce), a tiny dish that reeks of the bagoong (shrimp paste), and of course the weapons of choice, our fork and spoon. This was the norm for us every single day as far back as I could remember. Filipino food is something that will always be very dear to me, but when I think about it, it is food that I haven’t really put a lot of thought or time into getting to know. With huge bold flavors of sweet, sour, and saltiness, it has taken some time for myself to see how this cuisine is a whole lot more complex than it is ‘simple’. It wasn’t until I had the opportunity presented to me from fellow chef, Irbille Donia, to take part of a Filipino Pop-Up Dinner that he was organizing under his catering company, Irbille Edibles. His goal for these Filipino Pop-Up dinners is to introduce our community to Filipino Cuisine in a new perspective that people might not be use too. He wanted show how Filipino food could be brought to a new level with the use of new and traditional techniques with the beautiful local produce we get here in the North West. I was pretty skeptical at first solely for two reasons. One, I wasn’t sold yet to the concept of Pop-Up restaurants. And Two, I am a terrible Filipino and haven’t really cooked any Filipino food in my life! (I know, embarrassing!) Regardless, this was a great opportunity to learn something new about something I’ve always believed I knew so much about and also take part of something that hasn’t been seen yet, that being fine dining Filipino food. It’s been 7 months since we’ve started doing these Filipino Pop-Ups and I have got to see the progression of our team and more importantly, our food. With each Pop-Up, we have learned more and more about Filipino food, especially what Filipino cuisine really is. Filipino cuisine is a melting pot of many cultures that have forever influenced the Philippines through trade and conquests. Primary influences being China, Spain, Mexico, and the United States. Working at The Harvest Vine, which is a traditional Spanish restaurant, I have learned that it is important to know about the history of a cuisine to really understand the food. And with working at the Vine, I have found the many ways that the Spanish had influenced Filipino cuisine through the techniques we use (i.e. escabeche) and also through the products they’ve brought us (i.e. Pork, chorizo, ham, saffron, etc.). With this kind of knowledge, it opened up a huge amount of ways to reinterpret traditional dishes into a new, yet familiar, kind of way. What we try to do is break down each dish into a way we can reconstruct it using the same elements, yet make sure that the dish is still a good representation of the dish. This is biggest learning curve that we at Irbille Edibles have seen. Filipinos are some of the most critical people about ‘their’ food. To put it in the nicest way possible, we are the reason it is so difficult for Filipino restaurants to survive in such a demanding market. I feel that Filipinos need to be a little bit more open minded with the way they see not just Filipino food, but food in general. Just because their mother or grandmother might make the best Adobo or Sinigang around doesn’t mean that you should shun everybody else’s interpretation of these foods. As is mentioned in the quote above by Amy Besa and Romy Dorotan, it is an exciting thing for Filipino food that we are open to new ingredients and techniques to really see how our dishes can evolve. Also, I would like to add that it is OKAY to splurge and indulge sometime. We are known to be penny pinchers, but its ok to break the bank every once in a while. Enjoy what you have worked so hard for and spend some money on not just great food, but also a great experience. But luckily, we’ve had some of the greatest support for what we are doing at Irbille Edibles. Not just from the Filipino community, but also from the whole ‘foodie’ community here in Seattle. We feel that we are taking Filipino Cuisine into the right direction. We have shown that Filipino food could be elevated into something greater than it already is and still keep true to the tastes. It’s amazing how much Filipino food has progressed within the last couple years. Andrew Zimmern has even declared it to be the “next big thing” in food. There are also a large amount of food trucks popping up around america serving Filipino food on wheels. And also pleanty of restaurants opening its doors and doing the same thing we are doing at Irbille Edibles. Check out La Mesa and Kanto in Toronto, and Maharlika in New York. In the end, all I know is that I am proud of what I am. I find it amazing that through my love of food, I was able to gain so much about what being Filipino is really about. I am a Filipino-American and am so grateful for what America and especially the Philippines has to offer. There was so much I have learned within the past 7 months and can only look forward to what the future has to hold for myself, Irbille Edibles and of course, Filipino Food.